At last, you’ve done your research and found a small market that has an adequate population, limited competition and, undoubtedly, lots of people eager to train in the martial arts. Filled with optimism and fueled by excitement, you launch your dream dojo. Unfortunately, it’s a small market, so it has few media opportunities for advertising. There are none of the traditional ways of creating awareness, promoting your programs and building your brand. But that’s okay. You believe that “if you build it, they will come,” because word of mouth in a small town spreads fast — right? Well, yeah. Word will spread, but it won’t necessarily result in throngs of potential students lining up at your front door, eager to register and begin their path to enlightenment through the martial arts. So, what are the options? 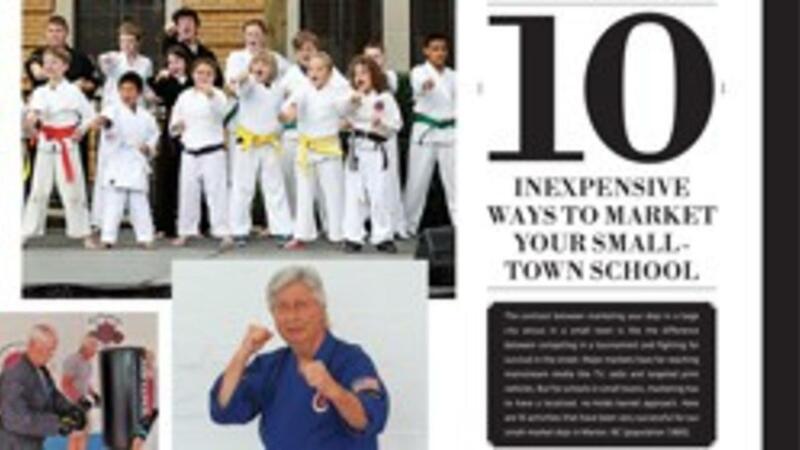 As a starter, here are 10 activities that have been very successful for our small-market dojo in Marion, NC (population 7,885). Location, Location, Location Means in Their Face! Your Website and Social-Media Programs Are Critical! Better Than a Television Commercial — Your Demo Team! Generate Traffic with the Magic of Cross-Couponing! The bottom line is that operating a dojo in a small market can be a great experience — as long as you market smart. After a lot of trials and errors, the 10 activities depicted here have been some of the most successful for us. And, while every one of these may not be the best approach in your situation, they can help point you in the right direction. Marketing, like the martial arts, requires that you adjust as the fight unfolds. In your market, you have to adapt to your specific target audience by modifying your methods in a way that ensures a win. But, no matter how you tailor your small-town marketing program, rapidly becoming an integral part of your community and constantly being in front of your target audience will point you to a more profitable future.